Today most people are so adept at Enlightenment thinking that it is commonly accepted as something higher than second nature and accepted as if a time beforehand did not exist. It is only within the past few centuries from the tens of thousands of years in world history, that ideas of religion as something belonging to the old medieval times have become commonplace. The trendy rejection of traditional religion and shift towards the sciences since the 1700s has been exemplified by principles such as the separation of church and state. Fast forward to the 21st century, we now find ourselves witnessing renewed attacks on religion, especially towards Christianity once again in the Western world. The increased persecution of Christians in the West as many conservatives claim is attributed to growing secularisation with such roots found in the Enlightenment. 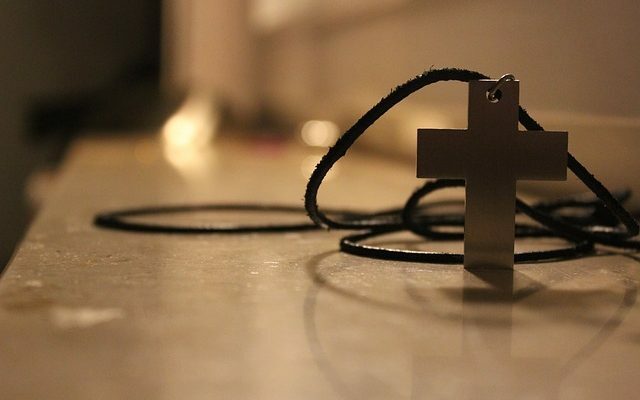 The death of religion such as the declining identification with Christianity in some Western countries appears to be picking up speed. I previously wrote about how statistics of a Christian majority in Australia was essentially fake news that followers of Jesus should be alert to. The newest headlines about the 2016 Australian census results highlight that the “death of religion” should be read with caution. Articles (unscientifically) attributing the increased non-religious identification to rising education levels merely serve as a reminder of the strong prevalence of Enlightenment thought among our modern society. Let’s take a look at this “death of religion” especially in an Australian context, given that more than half of the population continue to claim identification with Christianity. I am not fazed by a debate on whether Australia is a Christian or secular country and honestly, I believe such deliberations do little to advance “Australian values”. Rather, this reflects the reality of a gross misunderstanding of what being a follower of Jesus really is like. People called “Christians” are not necessarily true “followers of Jesus” as calling yourself a Christian without living out the faith is meaningless. Less religious people is actually a good thing. The overrepresentation of Christians on paper in Australia has been a detriment to the church in its engagement with the community. Even the website of the 2016 activist campaign to “Mark No Religion in the Census” contains several important truths that followers of Jesus can agree with: going to church doesn’t make you a Christian and even being baptised doesn’t make you a Christian if a person lacks actual practiced belief. Schools in the state of New South Wales have recently been the subject of activist campaigns to further what are essentially Enlightenment ideals through attempts to remove Special Religious Education (SRE) from the classroom. Social research from the McCrindle group published in Eternity News shows that 71% of primary school students and 30% of high school students attend SRE. Although SRE also involves religions such as Islam, 86% of all SRE providers are Christian. Far from religion dying, public school Scripture attendance and parental satisfaction with the New South Wales SRE system is thriving. With the McCrindle research findings showing that 80% of parents are happy, 90% of parents understand the “Opt-Out” clause and over 70% are willing to continue their child’s enrollment with SRE; it is fair to say that anti-Christian activists have a little more work to do. With the NSW Education Minister Rob Stokes saying that “ever since 1848, there has been bipartisan recognition of this foundation of religious freedom and inclusion… [being important] to young people”, the face of religion in Australia may be changing but it is the heart of the matter that remains crucial. Such sentiment was supported by opposition education spokesperson Jihad Dib who is also a Muslim, saying that “there is a place in public education for SRE… in providing nourishment to the soul”. Let’s not jump the gun and accept that religion is dying but rather invest in a continued “reformation” of our lives to become active followers of Jesus. SRE ought to be a prime opportunity where the next generation is taught what it means to follow Jesus properly. Now is not the time to lose faith despite what the “fake news” statistics and headlines suggest. We don’t need more Christians (by name). Rather what Australia and the world needs are genuine believers that seek to glorify Jesus as both Lord and Saviour. So, what if religion is dying? Let’s hope that is replaced with actual faith instead!